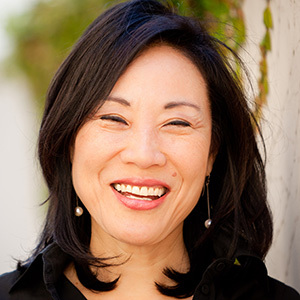 A Golden Globe and Emmy Award-winning Hollywood producer with deep roots in China, Janet Yang has worked with some of the most formidable directors and actors in the world. She came to prominence through her collaboration with Steven Spielberg on Empire of the Sun(Warner Bros). That was followed by a long partnership with multiple Academy Award-winner Oliver Stone—where she served as Executive Producer on the iconic The Joy Luck Club(Disney), and as a Producer on the Golden Globe-winning The People vs. Larry Flynt(Columbia Pictures). Among her many other credits are: the Sundance award-winning Dark Matterwith Meryl Streep and Chinese star, Liu Ye; The Weight of Water(Lions Gate) directed by Academy Award winner Kathryn Bigelow; Fox’s High Crimeswith Morgan Freeman; a Chinese adaptation of the acclaimed Disney franchise High School Musical; and cult favorites Zero Effect, by Jake Kasdan, and Shanghai Callingwith China Film Group. Committed to fostering global understanding, Yang has been a long-standing member of the Committee of 100, an organization of the most prominent Chinese-Americans; an advisory board member of Asia Society Southern California where she also chairs its highly regarded US-CHINA ENTERTAINMENT SUMMIT; and co-founder of the influential organization, GoldHouse, which boasts the most prominent Asians from Silicon Valley and Hollywood.